lovinglaurenx/YouTubeFew Gen Zs watch TV on an actual TV. Generation Z is moving away from traditional television. Marketers say that’s a major break from previous generations. To sway these teens, some networks are collaborating with social networks and popular streaming options. It’s not always successful. Grace Clark, 17, doesn’t like television. She says the episodes are too long. “I like YouTube, because the content is shorter and therefore is able to hold my attention throughout the whole video,” Clark told Business Insider. Her favourite is the Vlog Squad, a group of YouTube-famous 20-somethings based in Los Angeles. Several times a week, the group posts instances from their daily lives like flying (but with a llama), going hiking, or rollerskating.”Their content is very comedic but is rarely over 20 minutes,” Clark said. The interest in short but frequent video content from younger, more relatable sources is widespread among Clark’s peers. She’s considered a Generation Z, the generational cohort of Americans born after 1997. Few of them remember life before social media, the internet, and smartphones. 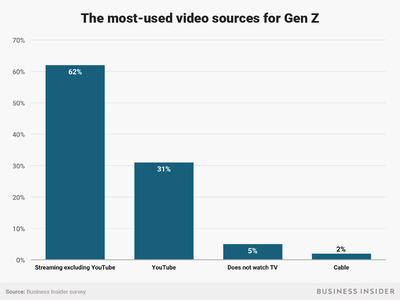 In a recent Business Insider survey of 104 teens nationwide, only 2% of Gen Zs said that cable is their most-used choice for video content. Nearly a third said YouTube is their most-used source for video content, and 62% say streaming excluding YouTube, including Netflix or Hulu, is their most-used. Those who do watch cable television enjoy it largely as a means of bonding with family, the news, or falling asleep. That’s a remarkable aboutface from previous generations, according to MaryLeigh Bliss, Chief Content Officer at YPulse, a research and marketing firm focused on Gen Z and Millennials. “It’s a major, major shift that we’ve seen with these young generations,” Bliss told Business Insider. Among American adults, 59% say cable or satellite is their primary method of watching television, according to a 2017 Pew Research study. Less than a third depend primarily on online streaming. The preference for cable is even more marked among older Americans. For those 65 or older,84% use primarily cable. One key reason for the shift is the increasing use of mobile phones as a way to consume content. The majority of Gen Zs use smartphones as their primary medium to watch videos, while millennials primarily use actual televisions, according to YPulse data. It’s not because they don’t have access to a television. If they’re below the age of 18, they likely still live with their parents, who almost certainly have a TV. Because of the decreasing emphasis on cable TV, this younger generation also has difficulty tolerating traditional ads. Variety reported in June that Fox outlets want to fill some of its commercial breaks with inspirational videos sponsored by pharmaceutical companies or other marketers. “That’s actively to try to appeal to younger generations,” Bliss said of Fox’s move. 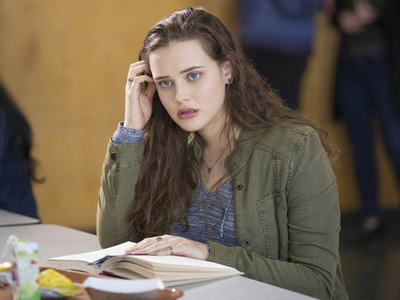 Netflix13 Reasons Why has been a major Netflix hit. Netflix, the favoured option among Gen Zs for all video content, lacks commercial breaks. It’s also primed for binge watching, which is how today’s teens are acclimated to watching television. Unlike previous generations who might tune in for a latest episode instalment, Gen Zs told Business Insider that they enjoy watching older shows, too.Teenagers adore “Friends,” a sitcom that aired its last episode when some of them may have been in diapers. “There are more options than on cable, since you can rewind or fast forward and watch older shows like Friends easier,” 15-year-old Sadie Madden told Business Insider. Clark also shared that she loves Pretty Little Liars, which aired from 2010 to 2017. “I like the fact that these shows are on Netflix because I am able to binge watch them without commercial breaks in between,” Clark said. 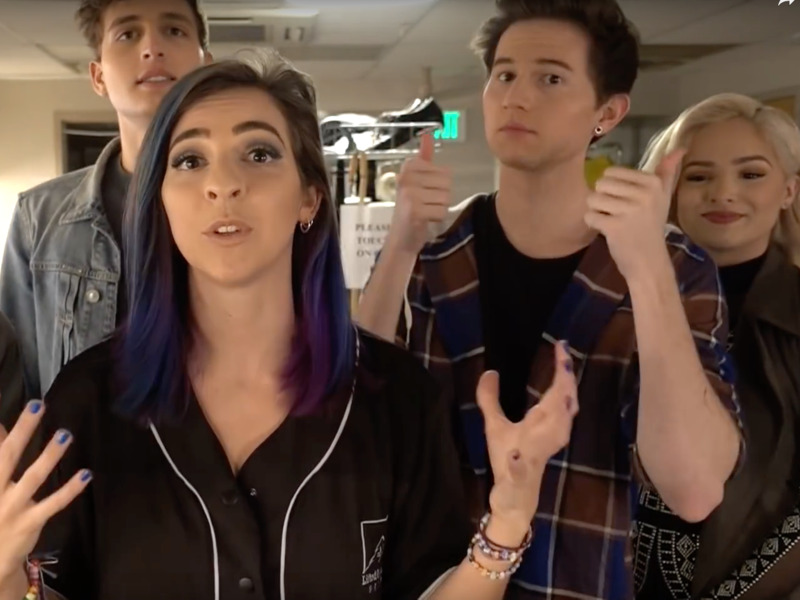 Gabbie Hanna/YouTubeThe ‘Vlog Squad’ is ultra-popular among teens. When teens watch YouTube, they’re not seeking fictional plotlines portrayed by Hollywood stars. One popular usage of YouTube is niche, hobby-driven content. Isabel Lagando, 14, watches lots of beauty and cooking shows. Kay Parker, 15, enjoys watching gaming videos on YouTube. Vlogs are also incredibly popular. One of YouTube’s most popular vloggers is Zoella, who runs a beauty, fashion and daily life account with more than 12 million subscribers. Vloggers like Zoella are as pretty and personable as any celebrity. But their transparency and frequent life updates makes subscribers feel more like they’re spending time with a friend (albeit one who is an international runway model). The CWThe CW’s Riverdale has accrued loads of Generation Z viewers thanks in part to its distribution agreement with Netflix. How are traditional networks responding? The amount of homes with cable, satellite, or telco is dropping, according to a 2017 Nielsen report. Cable is the fifth most-popular outlet for video consumption, according to YPulse data on teenagers. Gen Zs are more likely to watch video content on YouTube, Netflix, Instagram, and Snapchat. In response, some cable providers have moved their content onto those more popular platforms. CNN had a Snapchat show, but that flopped after four months. More positively, NBC’s “Stay Tuned” Snapchat news show accrued four million subscribers in its first five months – the majority of whom watch three or more times a week. One notable success story is the ultra-popular Riverdale, the aggressively dramatic reimagination of the Arhcie comics aired through the CW. As Vulture reported, the CW has a unique streaming deal with Netflix, allowing season one to appear in May 2017 on Netflix a week after the season ended. That gave swaths of viewers access to the show that they might not have had otherwise. Riverdale’s second season reached viewership numbers last fall that the CW hadn’t seen since The Vampire Diaries 2012. And that was on their network – not Netflix. That Riverdale could sway teens to tune in on an actual television with actual commercials is proof of one major point: The entertainment itself is more important than the platform.